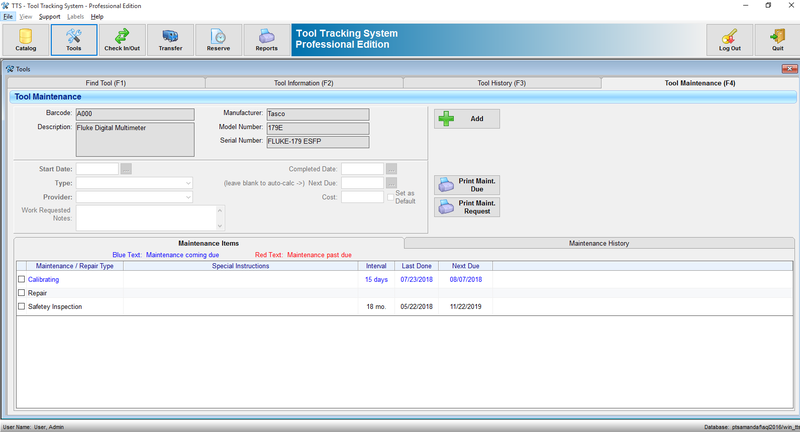 The Only Tool Tracking System You’ll Ever Need! How much is it costing me each year in lost tools? How many duplicate tools do I buy that I already have? 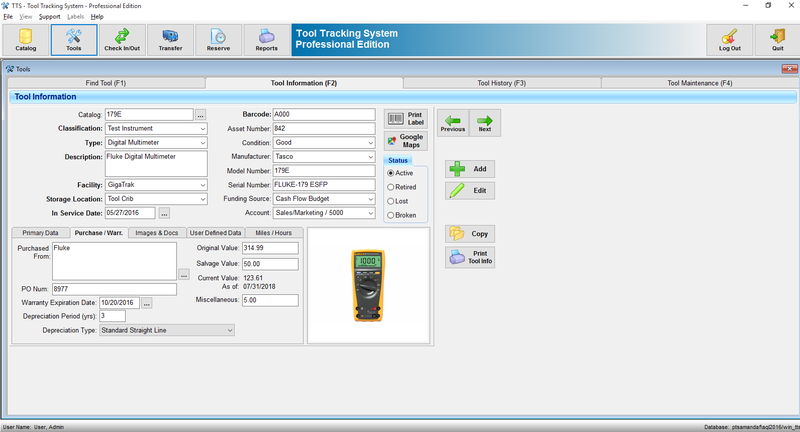 How could I save with a Tool Tracking Solution? With GigaTrak tool tracking software, you can reduce losses by holding your employees and subcontractors accountable for the tools and equipment they use. Everything is tracked through a simple barcode-scanning system. You can even schedule maintenance, track repairs, calculate depreciation, and keep a historical data-trail on usage. Manage tools on jobsites or by job. Manage rental tools and consumable tools, too. Best of all, locate any tool and give employees reports of what they owe you. 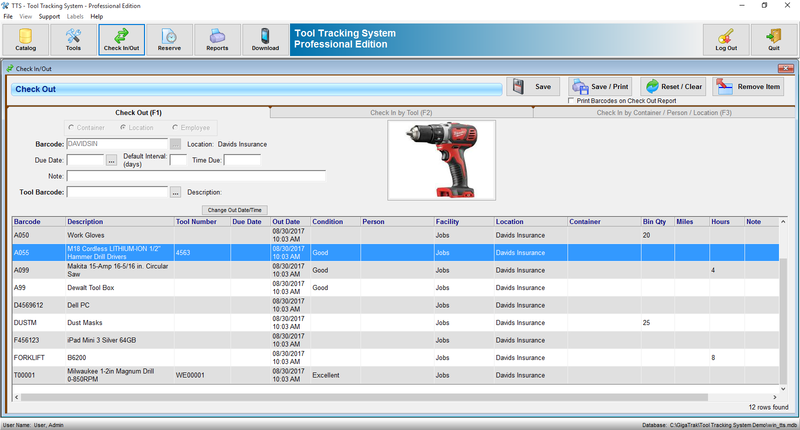 Track your tools to a person or location and know what is available in stock at all times. Save time and money by eliminating manual processes. Complete Tool Info Including Serial #, Model # etc. GigaTrak’s Tool Tracking System (TTS) Basic Edition makes it quick and easy for you to enter, organize, and catalog your tools. The software includes functionality to track not only tools that are in use as well as binned items, warranties, and depreciation. With the included mobile handheld scanning technology, you can easily check in and check out tools to employees, locations, or containers with a simple barcode scan. Even create tool reservations. Report-generation is quick, simple, and thorough. 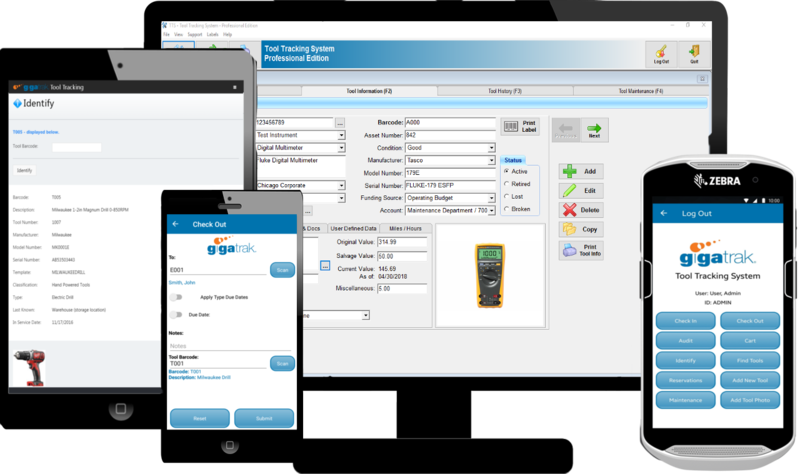 GigaTrak’s Tool Tracking System (TTS) Professional Edition expands upon the Basic Edition functions with abilities to track tool maintenance. Pro Edition also allows for the creation of user-defined fields based on class and type of tool. 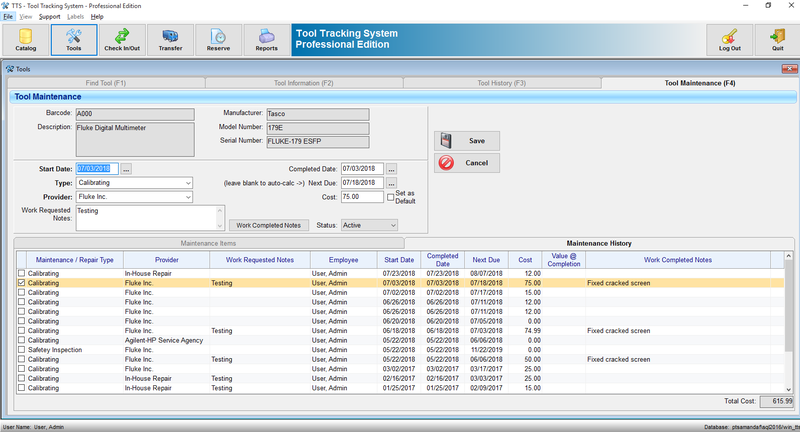 In addition, users can filter on overdue assets and generate various maintenance reports for their records. GigaTrak’s Tool Tracking System (TTS) Contractor Edition develops further beyond the professional edition to give contractors the extra flexibility they need. Contractor Edition allows for the ability to define other member groups and jobs by which tools may be checked out. Reduce tool losses, cut down on tool expenses, and put money back into your bottom line. With GigaTrak’s Tool Tracking System, you can finally take serious control of your tool inventory and see its return in as little as three months! GigaTrak’s software includes limited web-based installation support and a complimentary online training session. 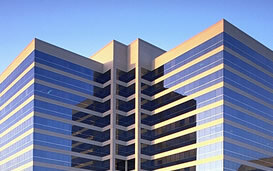 Onsite start-up and training options are also available. 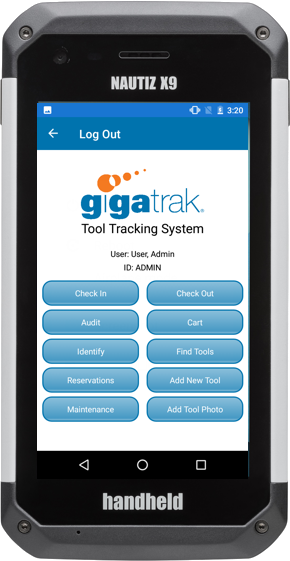 If GigaTrak’s Tool Tracking is more than you need, check out GigaTrak’s asset tracking applications. Why Tool Tracking in the Cloud? 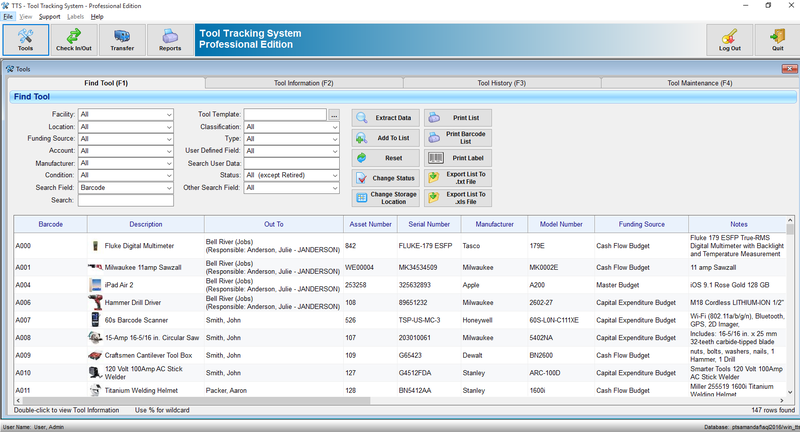 Functions include identify asset, check out/in, bin count, audit, and enter new tool. What Equipment Can Be Tracked? You name it, TTS can track it!